Winter weather keeping you from having fun with your nail choices? Just because it’s dreary outside doesn’t mean your manicure has to be as well. Celebrity Manicurist and owner of As U Wish Nail Spa, Skyy Hadley, is giving her top picks for nail polishes to end your winter blues! Sally Hansen’s Xtreme Wear in Sunkissed Bright Orange: is a vibrant tone that looks great on all skin tones and adds a pop of fun to your cold-weather wardrobe. This line offers amazing strength and shine, as well as long-lasting, chip-free color! Sally Hansen’s Mega Strength in Persis-tint Metallic: Spices up your nails that don’t always need to be with color. Changing the finish to a metallic shade is a fun and easy way to make your manicure stand out! A super fun shade with an even better finish, this iridescent purple screams spring! 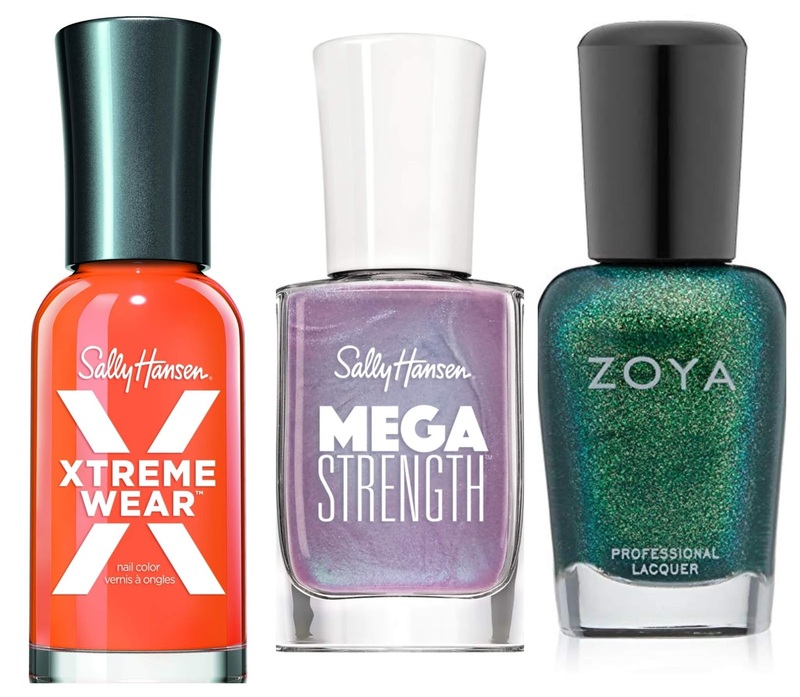 For the ultimate finish, pair with the Sally Hansen Mega Strength Top Coat. Zoya nail polish in Ivanka Deep Green: The holidays aren’t the only time to rock a shimmering green nail. This shade is perfect for those who want to keep it tame and stick to dark shades for the winter months. This mermaid-esque shade is exactly what you need to get through the winter months.